Tofu used to be one of those things that I absolutely loved to eat, but could never figure out how to cook at home. As a vegetarian, I really wanted to figure out this protein staple. After I learned two simple ways to cook tofu I use it all of the time now! It took a little trial and error, but now I love it! My honey ginger tofu stir fry really sealed the deal and I realized that I could make easy and flavorful tofu in my own kitchen! 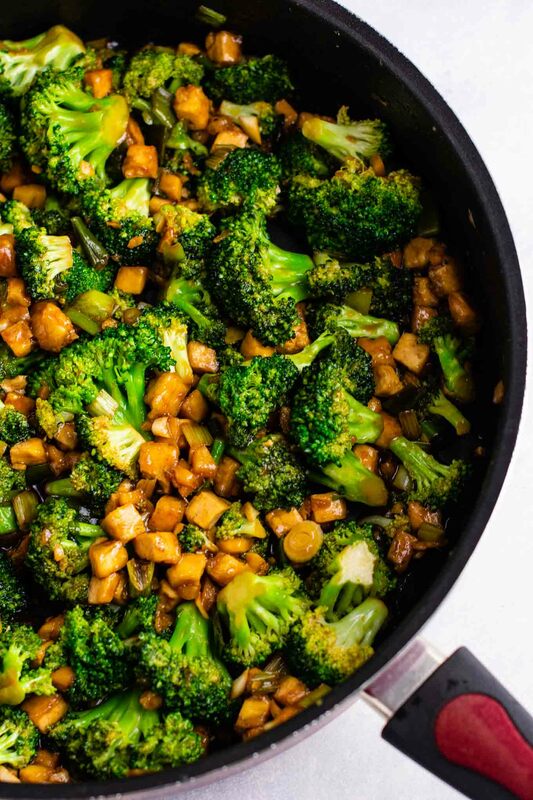 This broccoli tofu stir fry is made in just one big pan and tastes like takeout. 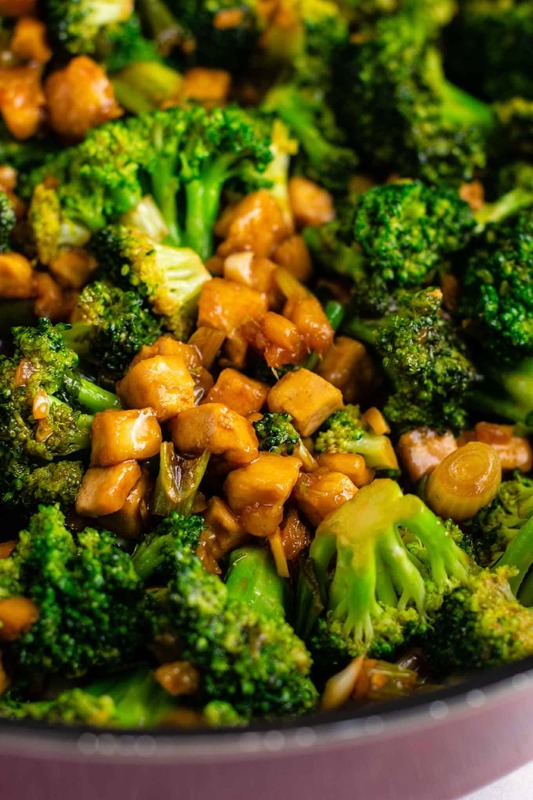 I took one bite of the broccoli and realized it tasted just like the broccoli with garlic sauce that I order from a local Chinese restaurant. First, you will drain the tofu, and pat it dry. I love buying pre packaged diced tofu, like I use in this recipe. It is so convenient! 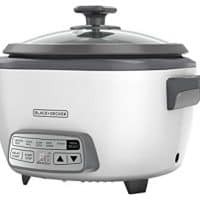 You can also use whole block tofu, but it will take longer. I just love the convenience factor of already cubed tofu. No need to spend 30 minutes or an hour pressing it! It saves so much time. Once you drain your tofu and pat it dry, place the cubes in a bowl. Toss with cornstarch and shake to coat. The cornstarch is going to help the tofu get those crispier edges. Heat a large skillet with oil until hot. Add in your tofu and start to pan fry it. Cook the tofu for 10 – 15 minutes, stirring often, until all sides are cooked and crispy. Next, add in your fresh garlic, ginger, green onion, broccoli and one batch of homemade stir fry sauce. 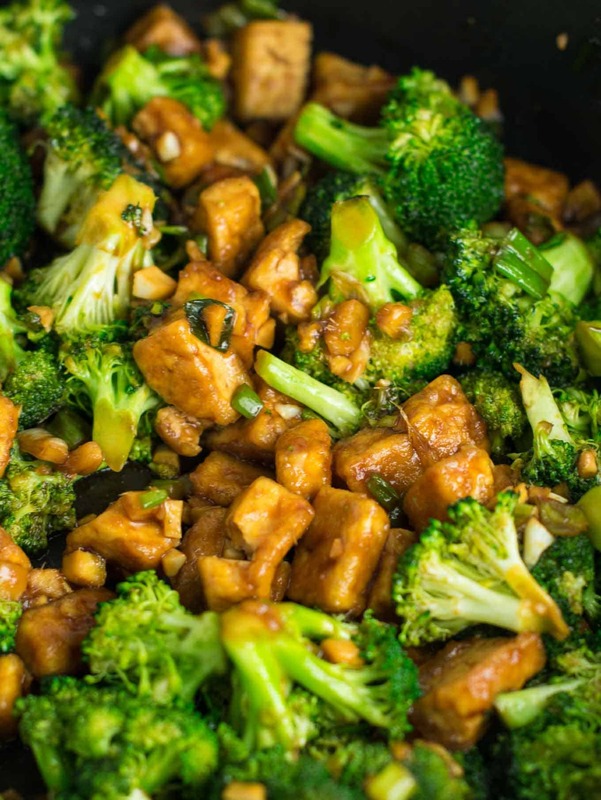 Keep stirring and cooking until broccoli is to your desired texture and stir fry sauce is thick and sticking to the broccoli and tofu. 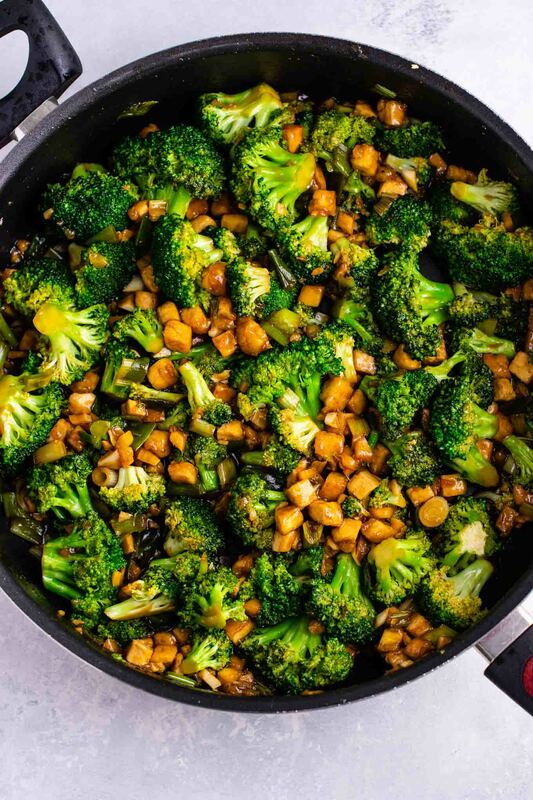 I love my broccoli with a bit of crunch, so I cook it for just a few minutes while still leaving a bit of a bite to it. I have had mushy broccoli in stir fry before, and that is a big NO from me! 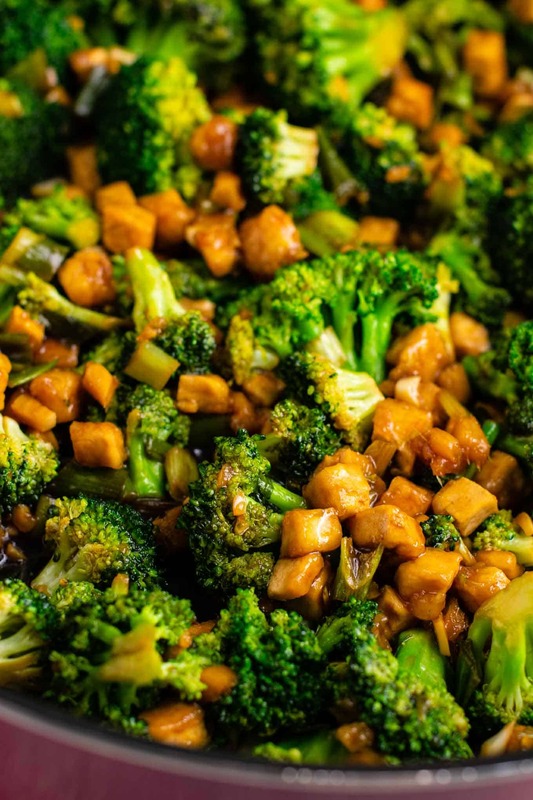 The texture really adds so much to this stir fry, so be sure you do not overcook your broccoli into mush. 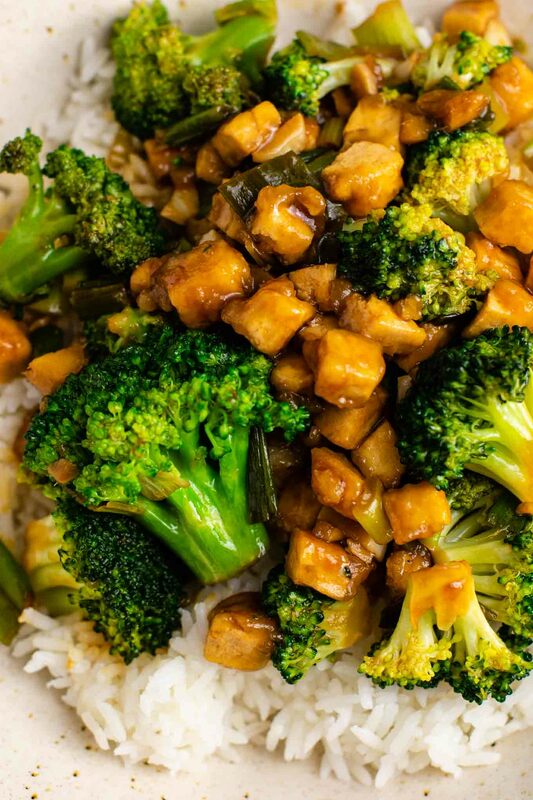 The secret to the flavorful sauce is in the fresh garlic and ginger, so do not skip these. Once you pair them with my 3 ingredient stir fry sauce, magic happens. I have had people leave out the fresh garlic and ginger and did not like the recipe and that is why! The recipe, as written, yields the very best stir fry flavor. Fresh garlic and ginger are total game changers and you absolutely need them in your stir fry! Please promise me you won’t skimp on this! I swear it is worth the time chopping it up and it only takes a few minutes. If you have never tried fresh ginger before, no need to be afraid! Almost every grocery store should carry it in the produce section. Just cut off the skin, and dice up your ginger with a knife. It’s just as easy as garlic! The flavor is so rich and deep with minimal ingredients, thanks to the fresh ingredients! This recipe is made with just 9 ingredients and is bursting with flavor. We served it over white rice and three adults finished off the whole recipe. Serve over your choice of grain, or just by itself! This would be delicious on it’s own, or served over white rice, brown rice, quinoa, etc. I’ve been craving this ever since I made it. My family used to eat Chinese every Sunday growing up, and it was a tradition I loved. 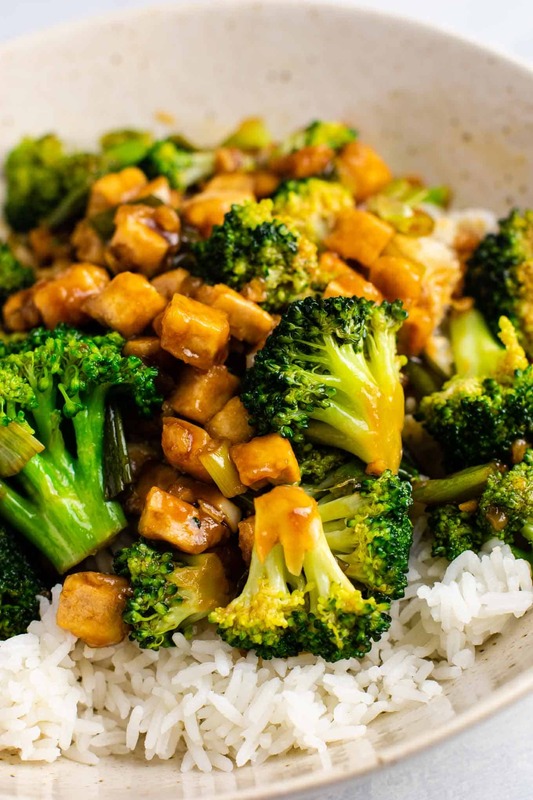 I could definitely eat this broccoli tofu stir fry every Sunday! You would not see me complaining one bit. 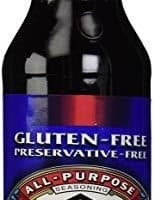 If you have not tried it yet, I promise you will love it! 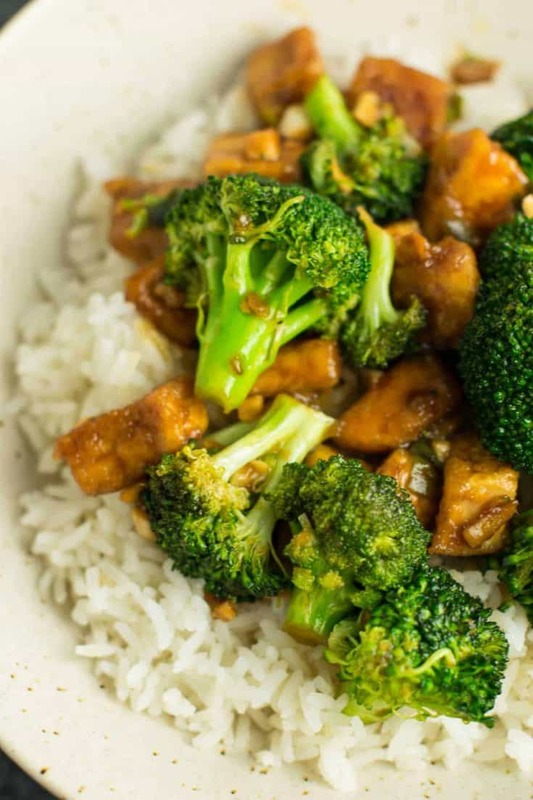 If you have never made stir fry at home, this recipe will make it so easy for you! Are you making this recipe? I want to see! Be sure to tag your recipe photos on instagram @buildyourbite and hashtag #buildyourbite! Want to save this recipe on Pinterest for later? Click HERE to pin this recipe! When do you add the onion and the garlic and the ginger? Sorry for the mistake! You add it at the same time as the broccoli. I have updated the recipe instructions to reflect this. Thanks! That was fast! Thank you so much! I’m making it right now so I really appreciate it. The kitchen smells wonderful. You’re welcome! We are actually making this for dinner again tonight too 🙂 Hope you enjoy the recipe! Very tasty! 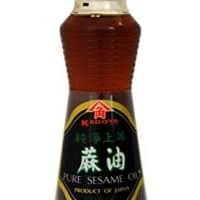 I like the 3 ingredient sauce- I’ll definitely be using that again for other dishes. 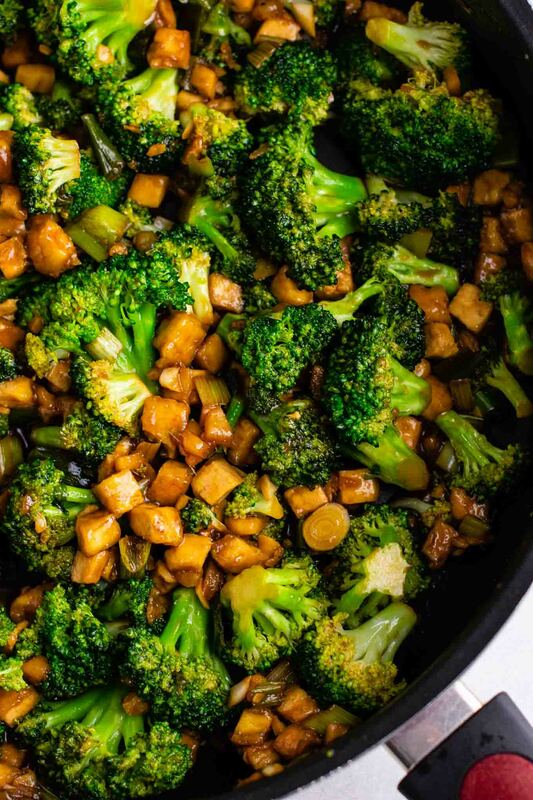 The broccoli and tofu together made for great texture. Do you remove tge tofu while broccoli cooks or leave it in the pan?? You can leave it in! How much of each ingredient do you use in your stir fry sauce? What have you found to be the best ratios? 1/4 cup of ginger? Is that correct? Yes, it is correct! 1/4 cup fresh chopped ginger.